Mr. November for #NGAQB — Me! 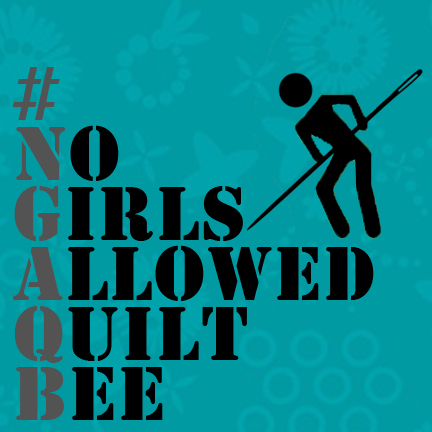 So here it is….My month in the #NGAQB ….okay technically LAST month was my month, November…But I am showing you the blocks I have received so far….being as I am in the tail end of this Bee, and everyone has fallen behind right along with me, I imagine that I will be receiving these blocks for awhile. I am pretty good with that actually. It will be awhile before I actually get to working them together into one quilt anyway. It has been been a fun year working with and creating for these guys. Each month has had something pretty unique, and I have been loving those challenges. 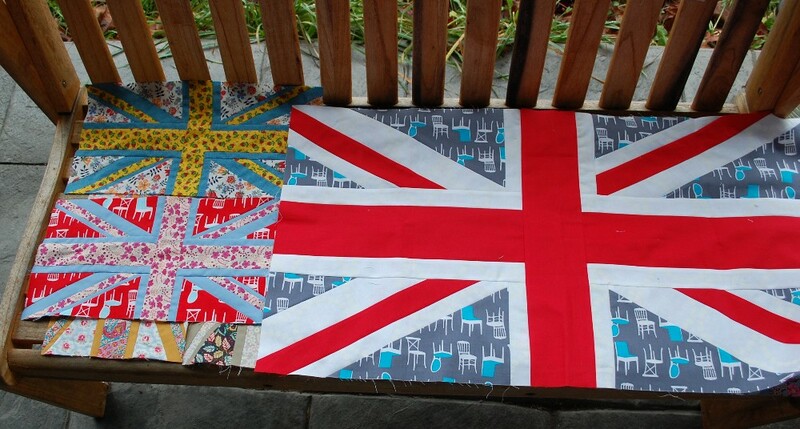 For my month, I chose a Union Jack quilt because I have been admiring these for a couple of years now, and since three or four of the team live in the UK and one in Australia, somehow that block seemed a bit appropriate to me. I also pushed a lot of the guys’ in their fabric selection by requesting they use Liberty type prints. I want a real “English Garden Cottage-y” look to the final project. I chose to use Molli Sparkles’ tutorial since Joshua (Molli) was the instigator of the group (I think). So far, I have received blocks from two of the guys and made about four blocks myself. Paul sent the BIG Union Jack block. I think I will make it the center of the quilt somehow, we’ll see what I think when they all get here. I grew up a farm boy. Well, kind of a farm boy. My dad worked for a newspaper two cities away but he loved cattle and machinery, so we always had both and a lot more land than most people. I never really liked machinery, but I am rather fond of animals and plants, and since we lived in the Pacific Northwest, we always had lots of woods. I consider myself a child of the woods. I am constantly inspired and uplifted by trees of any kind. Maybe that’s why part of why I love Christmas so much with that whole Tannenbaum thing going down. I also loved coloring and creating from my earliest memories. I still remember getting my first box of 64 Crayola Crayons! My mom sewed everything we wore (except pants she hated making pants she said). And in Junior high we had to take Home Ec and Shop. I was mostly interested in cooking in Home Ec, but I did learn to sew and I sewed myself a shirt and pillow (Ironically, the pillow that I sewed was also a flag, the Danish Flag, because that was the main country of my family’s many origins) I made my first quilt when I was about 14 or so because it was around the Bicenntenial and Early Americana was pretty much the rage then. Fast forward to the late 80’s early 90’s. I was newly married, wanted to make my wife a fancy Christmas stocking. In the years before, I had picked up counted cross-stitch as a means to keep my hands busy when I was not doing something else. (I need that, especially when visiting with people, I can’t stand to just sit there) So I cross-stitched the front of a pretty elaborate stocking for my wife. I needed to sew it together so I ended up buying a $200 Singer Sewing machine. A year or so later, my wife and I happened to check out a quilt show and I think that’s when I started getting more and more interested in quilting. I started dreaming of opening my own quilt shop, and through that dream, I met Mary and Connie of Country Threads in 1996. 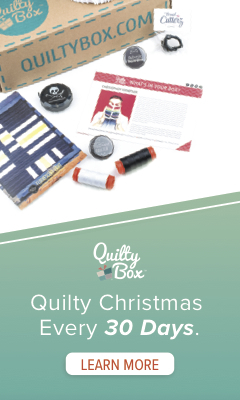 After that it’s a series of events that unfolded to me getting more and more involved in the industry of quilting through an assortment of circumstances. Now I design quilts for fabric companies and magazines. I have a few patterns for sale in my Etsy shop and a few more coming there soon, and I teach here and there, as well as share my quilts and journey in the quilt world with guilds. I am also on staff with the magazine Generation Q. It has been an interesting journey. And truly the best part has been all of the wonderful, amazing, creative, and kind people that I have met and now call friends. It has been a delight! I am looking forward to seeing the rest filter in. I will keep you posted so you can see the variety each dude brings to the table! Hi! I’m coming over from Molli’s blog. It’s nice to learn of another quilter coming from the Seattle area. I’m just starting out in quilting and I see many happy years ahead playing with fabríc! 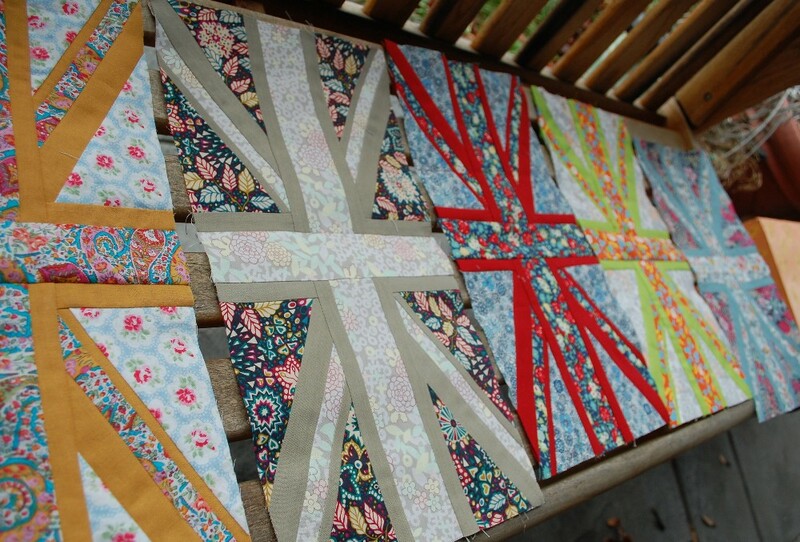 I think your Union Jack quilt is going to be outstanding. look forward to seeing its progress!